The $0.08-Cent Investment Jackpot Begins! and the birth of the internet. Bitcoin is up 1,127% over just the past 12 months… Ethereum is up 11,971%, Ripple is up 24,978% and so on. And those are just the bigger… more well-established cryptos. There are dozens of smaller “penny cryptos” that have skyrocketed by 2,871%, 15,808% or even 105,744% in just a single day. The truth is, there is a major digital revolution taking place all across the globe. If you’re like most folks — and have only heard a few whispers about blockchain technology — don’t worry. But more importantly, I’ll also show you how to invest in this trend before everyone else! Listen, up until recently, almost NO ONE in the mainstream press was talking about these stocks. EVERY SINGLE cryptocurrency out there. That means by buying the blockchain companies, you’ll control the entire cryptocurrency craze in just a few simple moves! I can tell you — with 100% conviction — that the upcoming Blockchain Investment Jackpot could help you retire incredibly wealthy in less than a year. And you do NOT need a lot of time. What you’re about to see is a little-known investing secret. Don’t worry if you’ve never bought stocks before. In a minute, I’ll hold your hand and walk you through the entire process. Once May 30 passes, many of these little-known blockchain stocks could easily begin skyrocketing in price by 300%, 500% or even 2,500%. Then it may be too late to make any money. What’s happening on May 30? Keep reading, and I’ll show you in just a moment. The Blockchain Investment Jackpot won’t work once these blockchain jackpot stocks trade for hundreds… or thousands of dollars. to Create a Jackpot of Wealth? And why could it make you a fortune? Nobody could figure out a way to make a decentralized currency like Bitcoin actually work. Put simply, it links together thousands of computers from all over the world with the sole purpose of keeping track of every single Bitcoin transaction… everywhere in the world! Neither would Ethereum… Zcash… or any other cryptocurrency. I can tell you — after 25 years of working at the Chicago Board of Trade — blockchain technology is going to create unimaginable wealth for early investors. “Blockchain could revolutionize the world economy. Back before May 12, 2017, practically no one had. But as word began spreading about blockchain, equity poured in and share prices took off. 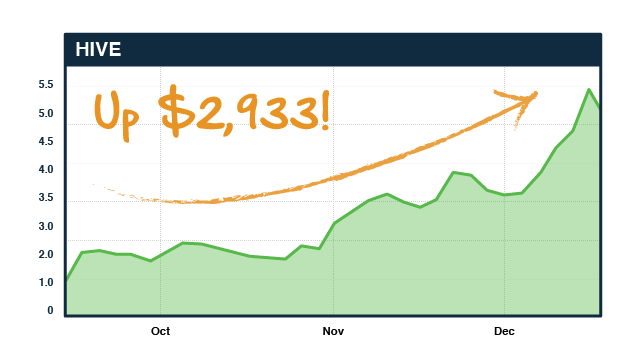 Turned Into More Than $2,933! That’s the power of penny blockchain jackpots. Again, this company was completely off most people’s radar… they were trading for just over 5 cents per share on September 8, 2017. But as word began spreading about blockchain, share prices exploded. In just over one month, the stock hit a gain of 200%. By October 16, not even two months later, it hit a total gain of 620%. And $500 would have turned into more than $10,000. That’s just with one penny blockchain play! A single move would have been like hitting the lottery! Can I promise that you’re going to book these whopping gains in as little time? Of course not — no one can promise anything in the investment world. And now that cryptocurrencies have gone mainstream, the publicly traded “penny blockchain stocks” will likely skyrocket in price. So how much money could you make by investing just $50 in each of these penny blockchain stocks? Yes, this strategy is risky and would have required perfect timing. This is simply an “accelerated” example of how potent these blockchain penny stocks really can be. Keep in mind that past performance does not guarantee future success, and investing always carries risk. And while it’s highly improbable you’d be this lucky, it’s NOT impossible. Global Arena Holding (GAHC) is a blockchain company based out of New York. Remember, the best profit opportunities (especially in penny blockchain stocks) are rarely featured on TV or covered by the financial newspapers. 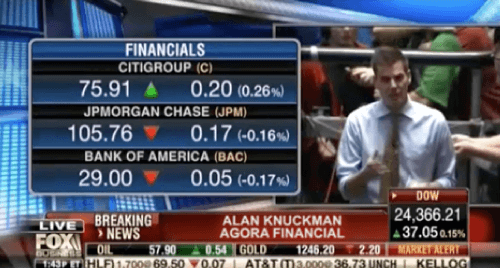 And back in November 2014, shares traded for exactly 1 cent. And cheap enough for you to load up on thousands of shares with just $50. 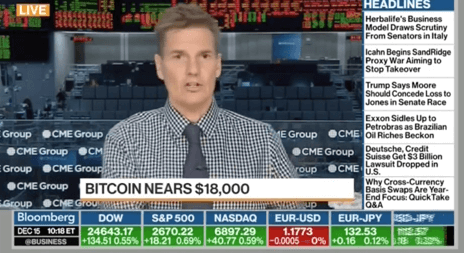 The Bitcoin phenomenon became a mainstream story, and shares rocketed! By the middle of December 2014, a buying frenzy pushed shares of Global Arena Holding up to 30 cents. That’s an incredible gain of 2,900% (in just a few months)! Well, truth is there were many other companies like Global Arena Holding I could have chosen as an example. Now you have Z-E-R-O risk. So you’re going to roll that $1,400 of pure profit into the next step. There was NO news of a “buyout” from a larger company. *** Bitcoin and digital currencies had become front-page news. This penny blockchain stock shot higher by an incredible 2,300%. But can you see the power of penny stocks? 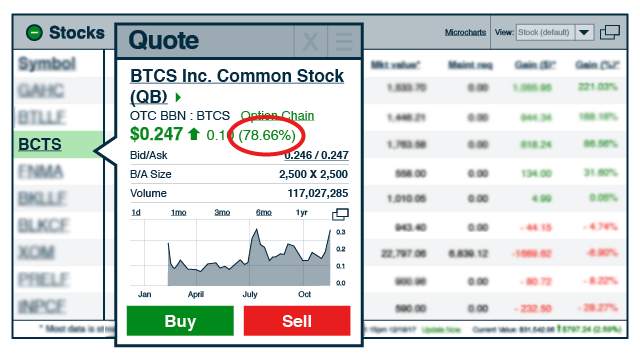 Yes, blockchain stocks are incredibly volatile just like cryptocurrencies, but that gives you the opportunity to make a lot of money with the right timing. And when you have the perfect investment scenario — like with these blockchain penny stocks — you’d be hard pressed to find an easier way to get rich quickly. At this point, most folks would be tempted to CASH OUT. But that would have been a huge mistake. You see, starting in July 2017, several blockchain stocks began screaming higher in value. And if you had rolled over your profits into a company like DigitalX, for instance, you would now be sitting on a huge JACKPOT. That’s a gain of 1,100%! And as I mentioned, DigitalX was one of many, many blockchain-based stocks that saw similar price jumps. Had you taken that $32,200 and invested in a company like DigitalX… you could now be sitting on a huge pile of cash totaling $354,200. But as good as that sounds, we’re still not done. RIOT Blockchain’s primary focus is to be part of the disruptive blockchain technology ecosystem that is revolutionizing transactions. And in November 2017, business was good. In fact, from November 15 to December 19… just over a month… share prices soared for a solid 386%. In other words, you’d be a millionaire. That’s why I’ve given you this example, because I want you to see for yourself the amazing potential of blockchain penny stocks. The next wave of blockchain wealth is taking place right now! Since Bitcoin has gone gangbusters… and blockchain technology is the hottest “buzzword” in the investment community… I wouldn’t be shocked to see explosions that DWARF what we’ve already seen. *** In fact, companies like IBM, Microsoft and Overstock.com are making huge investments into blockchain technology. What happens if those gains are multiplied 100 times over?! If This Is So Great, Why Give It to You? Why Not Keep It to Myself? Our own personal brokerage statements as proof! You could make a fortune in just a day, like we did. Showing he was up a massive 78% in a single day! Up 76% in a single trading day! Just 45 short days later! That’s almost a 300% gain in just over a month! That way we remain 100% unbiased and independent. If penny stocks are so great, you’d expect everyone to harness their amazing profit-building potential and get rich. You see, penny stocks are so small, the “big boys” on Wall Street often can’t trade them. However, they’re great for the little guy and first-time investors. So the uses of blockchain go WAY beyond just cryptocurrencies! 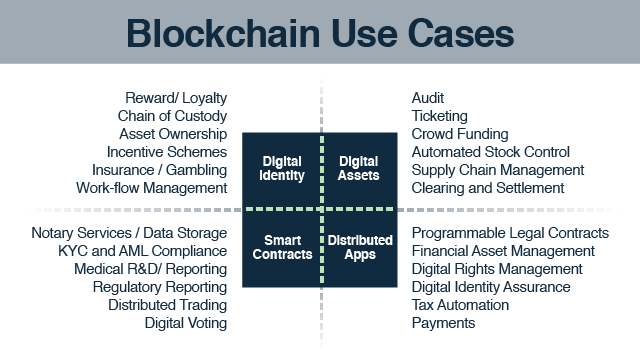 There are dozens upon dozens of industries about to adopt blockchain technology! Take a look! They’re ALL adopting blockchain technology! Companies like IBM… Microsoft… Overstock.com… and many more of the world’s best companies are all investing in the blockchain! Think about what you could do with $1.3 million. You could look after your family and friends, pay off your mortgage, and put your kids through college. Through Bitcoin, blockchain has already proven to be incredibly successful and incredibly lucrative. And by utilizing the “$50 Blockchain Investment Jackpot,” you could become incredibly wealthy in less than three years’ time. But remember, you need to take action before May 30… while these stocks still trade for pennies. Since these stocks are volatile, it is critical that you follow our price guidance and analysis to better avoid potential losses and maximize gains. My name, by the way, is Alan Knuckman. I’m a 25-year vet of the trading pits in Chicago. Whenever the media needs to know what’s happening, they call me. to listen… >to buy blockchain stocks right now. elite-level research service, Dollar Trade Club. What… you haven’t heard of us? More people read my publisher’s research each week, for example, than receive newspapers like The Washington Post or The Los Angeles Times. It can be difficult to pinpoint the exact moment to invest in these penny blockchain jackpots. But that’s what makes today’s situation with blockchain so exciting! That’s why we have more than 20 full-time researchers looking for the NEXT big thing in investing (more on that in a moment). Right now the “puck” is sitting in Bitcoin and cryptocurrencies. But mark my words — the “puck” is heading towards BLOCKCHAIN. We’ll be there when the money begins to flow! You only make money being ahead of the trend. And that’s what we do in Step #1 of filtering all our recommendations in Dollar Trade Club. You may see this more in your life with all the “fake news” stories coming out. The “big boys” on Wall Street have tools the little guys simply don’t have. 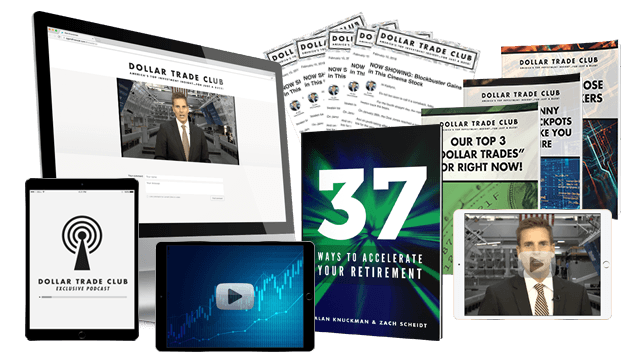 Once you join Dollar Trade Club, you’ll have all the benefits of those same tools, too! FINALLY leveling the playing field! We also have a database of financial data that costs us more than $30,000 each and every year. But we’re happy to pay it, of course. Because these tools help our readers make the absolute MOST amount of money — which keeps those readers subscribed to our services year after year! our best moneymaking ideas to YOU! we FORWARD the very best ones to you. There are about 4,000 actively traded stocks on the market. And truth is, only about 1% ever make it past our systems. So by the time you see a recommendation in Dollar Trade Club, know that it’s the VERY BEST recommendation we could ever make! What are our best ideas for right now…? That means even first-time investors can afford to buy huge chunks of shares for just $50. Blockchain jackpots ALREADY have a proven history of handing out truly explosive gains. In fact, they’re some of the most profitable stocks on Wall Street. To just the SEVEN penny plays you need to make RIGHT NOW. Every single one of these blockchain jackpots could make you a millionaire. And I’ve created a list of the best plays you need to own right now. And how much money you can expect to make. And because these blockchain jackpots are so small and so potentially lucrative, I’ll even go one step further… recommending buy-up-to limits meant to protect you along the way. You CANNOT buy a copy of this list anywhere in the world. Not for any price. Instead… I’ve made the entire list available for immediate download right now, for free. Nothing that’s hard to understand. A blockchain darling that “insiders” know well! NOT come from a “tech” company, but rather the companies that hold the patents! That’s why I’ve locked on to a $4 company that’s acquiring blockchain patents like wildfire. This could be the next blockchain jackpot! A penny-blockchain play that trades just over 10 cents per share. This company is one of the first “pure plays” in blockchain tech — and with a BIG recent announcement, this company’s blockchain operations could go ballistic! And not all of the blockchain companies I’ve found are start-ups! One well-established player is set to accelerate the adoption of blockchain across the globe. Best of all, you can still pick up shares for about five bucks each! And two more just as explosive blockchain jackpots! Remember, I’ve polished everything into a neat little package. If you can read simple English and act on step-by-step instructions, then you could profit from the ideas inside The SEVEN Penny Blockchain Jackpots That Could Make You a Millionaire. You need to get in BEFORE this happens on May 30. That’s why this offer is available strictly on a first-come, first-served basis. Dollar Trade Club DOES NOT just focus on blockchain plays. Yet can make you millions if the ideas pay off. That’s one reason we call it Dollar Trade Club — because of the plays costing mere dollars. 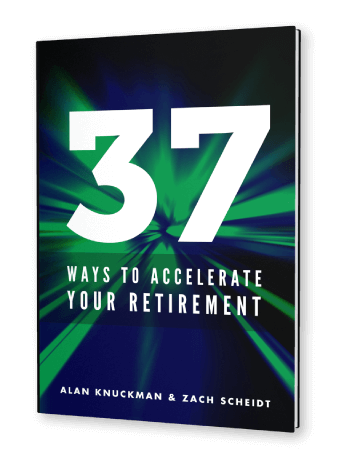 Want to retire in two years instead of 10? An “environmental” company that actually cashes in on one of the world’s most precious resources. The company is up 23% over the past year, and there’s more juice where that came from! Speaking of precious resources, I’m sure you’ve heard of gold. But I bet my bottom dollar that you haven’t heard of the little Alaskan mining play that holds the keys to the world’s largest undeveloped gold deposit. And it trades for less than two bucks! A hidden gem with a “text message” system that could literally save your life in a time of crisis! But the real reason I love this “dollar” play isn’t the lives it will save, but instead the massive potential to supercharge your retirement for years to come! Again, you can’t buy a copy of this book anywhere. It’s not listed on Amazon at any price. It’s yours, free… when you join Dollar Trade Club today. “Dollar Trades” for Right Now! A red-hot tech play “where man meets machine.” With HUGE growth coming from the tech industry and computer chip makers, we’ve zeroed in on our hands-down favorite play for right now! Our favorite transportation giant play is warming up, too! This company has a hidden ace hiding up its sleeve, and we can take advantage! It’s time to use this investment to gain altitude quickly. We’ve also locked on to our favorite Trump play. Now that tax reform has passed, Trump sets his sights on his next big agenda: infrastructure. We’ve got the perfect play set to soar! Each week you can look over our shoulder as we analyze charts on our computer screen and break down critical price levels. Want to know the price points that could make or break your favorite stocks? Please DO NOT trade or buy another stock until you watch these breakdowns! I’m going to be frank: It’s a minefield out there, and so whether you already have a broker or not, this report will be invaluable. 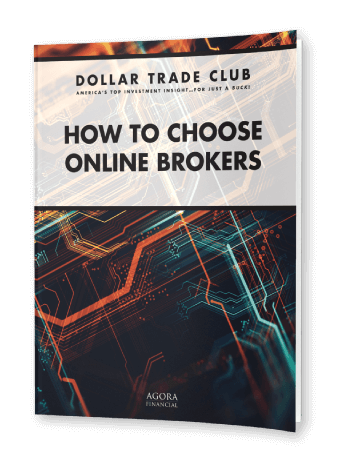 When you’re making “dollar trades,” a broker can make or break you. And it’s not just about who has the lowest commission fees — cheap brokers may cost you in other areas, so doing your research is crucial. That’s why I’ve put this shortcut report together for you. to keep no matter what. All of these bonuses are available instantly. These daily missives will get you caught up to speed on what professionals are talking about. What are the floor traders whispering about? What are hedge fund managers preparing for? We’ll get you the market stories you need to know. This exclusive video will cover the top events from the day before, overnight and into each day. This is how professional traders think, and it will be delivered to your inbox each day in an exclusive video. You’ll have access to video content that I record for CNN, Bloomberg TV, Fox Business Network, CNN International, Sky News, CNBC and more. For the first time in our franchise’s history, we’ll join forces and reveal our top trade opportunities for 2018.
to love, such as pure stock analysis, currencies, commodity analysis and more detailed options strategies. You know what to buy. And when to take your profits. You’re never alone. You have me… my team… and our $30,000-per-year databases working FOR YOU. The guys on the trading floor get the inside scoop, BEFORE the general public. Now, I’m not saying they have illegal “insider” information, I’m just saying the flow of profitable information has to start somewhere. That somewhere is the market floor. Where the BIG money moves happen. I’d like to be your contact for the most profitable “market whispers”! In short, this is PERFECT… for anyone and everyone. Subscribing today to Dollar Trade Club costs just $1 per day! Then your subscription cost is dirt cheap! Being in the business for as long as I have… I’ve seen these firsthand. People who take your money only to not deliver. When you subscribe to Dollar Trade Club today, you do so completely at MY risk for a full 12 months. That makes your action today RISK-FREE for you. Try Dollar Trade Club risk-free for 12 full months. If you find the research isn’t everything I’ve said and more, you’ll receive a prompt, hassle-free 100% money-back refund. All you need to do is ask. If I don’t deliver, you don’t pay a cent. Just months from now you could be using your first winnings to treat yourself, simply because today, you made the decision to give Dollar Trade Club a try. Subscribe to Dollar Trade Club today. 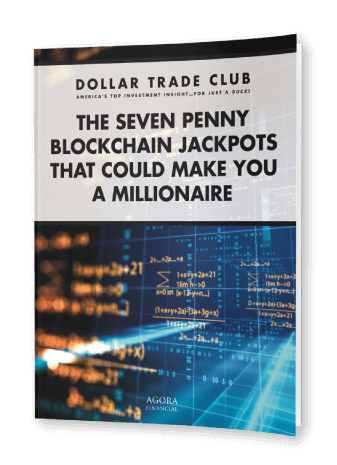 Download your free special report, The SEVEN Penny Blockchain Jackpots That Could Make You a Millionaire. Buy into some of the plays if you choose. Take advantage of the loads of other bonuses I’m sending your way. Risk-free for 12 full months. I’ll email your reports immediately so there’s no waiting around. Because these blockchain jackpots can shoot up overnight, I urge you to respond right now while it’s on your mind. 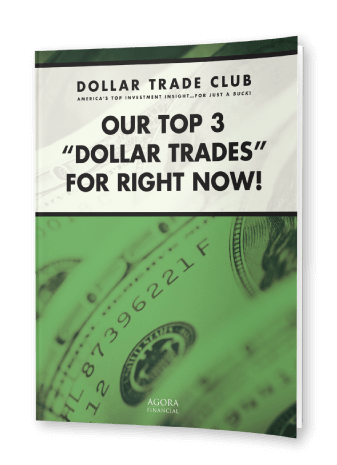 I don’t want you to miss out on potential gains from Dollar Trade Club picks. P.S. Click below and I’ll show you the exclusive discount I’ve arranged for you today. It’s a DEEP discount, and one I reserve the right to pull offline at any moment. For now, though… it’s yours when you click “SUBSCRIBE NOW”!